This class offers the basics in backyard birding. You’ll learn how to identify backyard birds by sight and sound, who is at the feeder during each season and what their feeding habits are. 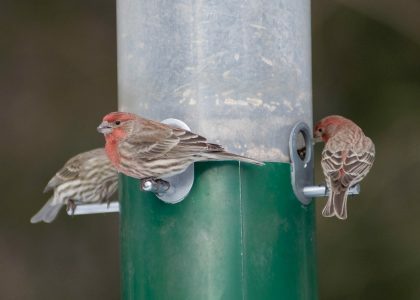 We’ll discuss bird characteristics, ways to attract birds to your feeder, what bird feeders and seed to use, and where to place feeders for bird safety and best viewing. And you will receive a free seed bell! $5 per person. Pre-registration required. To register online click here. This program is held at Center at Fairfield, 2325 Burr Street.